The first ever UK tidal power production plant has now been officially opened. Operated by Siemens, the 25,000 sq ft facility has been opened in Bristol with the purpose of developing turbines designed to play a significant part in the generation of marine energy through tidal turbine farms in Wales and Scotland. The facility has been purpose-built to test drive trains used in the SeaGen tidal turbine, developed by the Bristol based Marine Current Turbines that Siemens acquired last year. These new turbines will then be used at two sites, Skerries Tidal Steam Array in Wales and the Kyle Rhea array in Scotland. Energy secretary, Ed Davey, attended the official opening and said the new Siemens facility would be important for Bristol, acting as a real boost for the South West as a whole and also further cement the UK's position as a world leader in marine energy industry. He said: "Wave and tidal power has an important part to play in our low-carbon energy mix, with the potential to sustain up to 19,000 jobs in this sector alone by 2035. "That's why the Coalition has announced levels of support for wave and tidal power generation that are higher than any other low-carbon technology. I want to see the sector take the final steps to get these exciting technologies to market, so it's great to see Siemens ramping up their involvement in marine power, I wish the new centre every success." 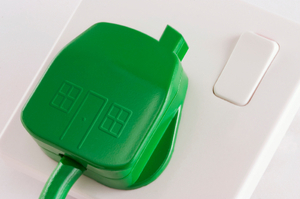 As well as encouraging the development of renewable or alternative energy supplies, the Government has also introduced a number of schemes designed to cut UK households carbon emissions down. One such scheme is the Green Deal. Working hand in hand with a number of energy suppliers, including the 'Big Six', the initiative allows homeowners to install various energy efficiency boosting measures in their home at a subsidised rate. Options include the fitting of loft or wall insulation, replacing an old boiler, or even fitting solar panels.